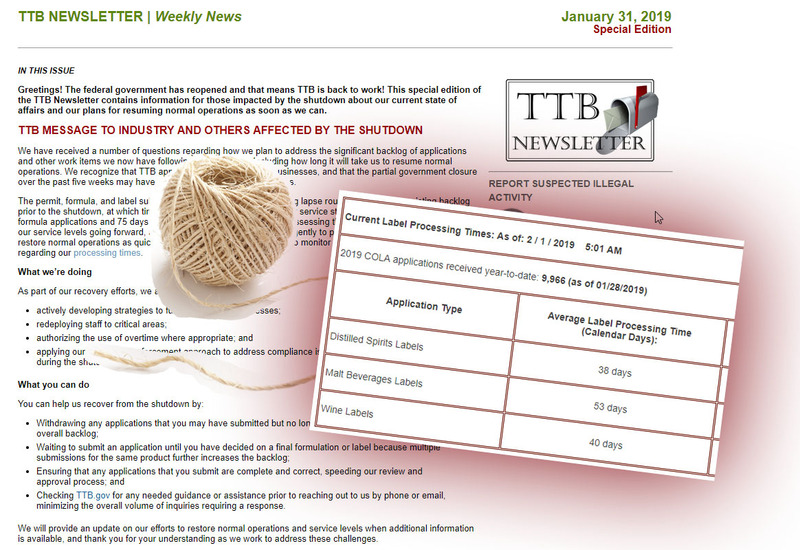 There is good news for brewers who are tired of waiting for formula approvals from TTB (currently 74 days): you may not need it. On June 5, 2014, TTB issued a fairly significant ruling, Ingredients and Processes Used in the Production of Beer Not Subject to Formula Requirements. 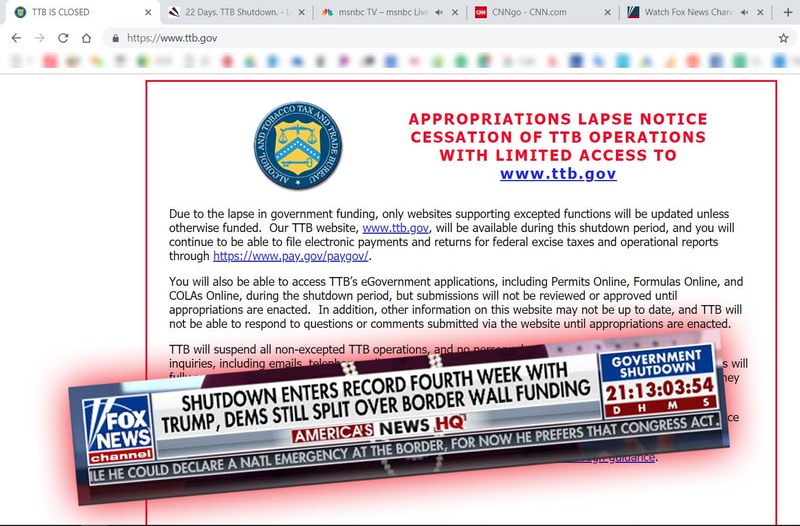 The ruling clearly spells out which Exempt Ingredients and Processes are now deemed “traditional” and, therefore, do not require a TTB formula approval. 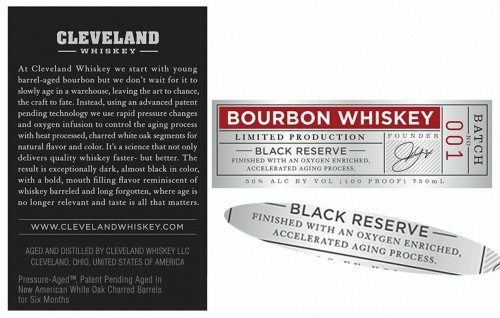 That’s a lot of envelope-pushing and innovation for one label. We happen to know a person who is both an experienced patent lawyer and an experienced whiskey distiller. So, in a future post, we hope to have him review the patent claims and assess whether this is closer to an innovation or a gimmick. 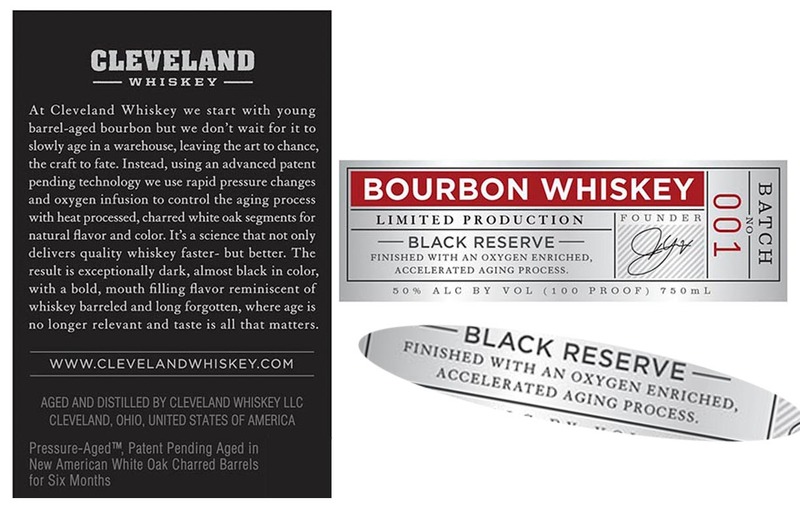 The Bourbon is produced and bottled by Cleveland Whiskey, LLC of Cleveland, Ohio. The approval is here. Terressentia’s closely-related patent, also for aging spirits quickly, is described here. We covered several sparkling spirits products about three years ago, here, and so it may be about time for a redux. There is quite a bit of action on this front, in recent months, perhaps due to the high profile of Nuvo Sparkling Liqueur. 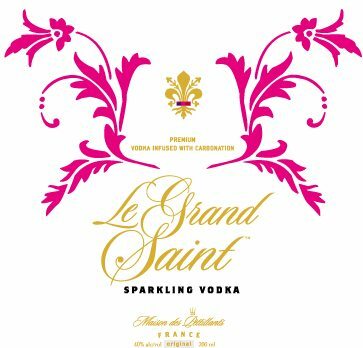 Here is a Sparkling Vodka under the brand name Le Grand Saint. Technically, it is a distilled spirits specialty more than a “vodka” or a specific class/type. The statement of composition (“vodka infused with carbonation”) appears in gold letters near the top of the front label. Another good example is Prévu. It is unique in the sense that it is sparkling, and liqueur, and organic. It is made with vodka and Cognac, and imported by Simont Enterprises of Los Angeles, California. Prévu also happens to have a great looking website and bottle. If the product is even half as good as what is shown there, I should step away from the computer and go get several bottles. Here it is. What all the controversy is about. EtOH. It is quite possibly the most popular psychoactive substance in the world, running neck and neck with caffeine, at least among substances that don’t require a prescription or jail time. 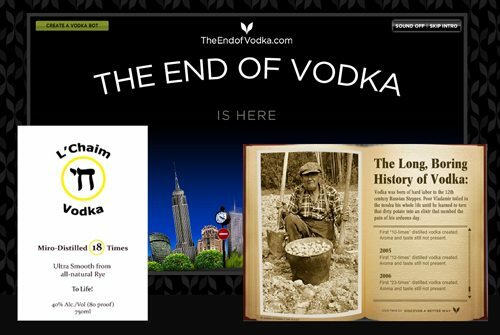 EtOH is otherwise known as ethanol or alcohol or ethyl alcohol. 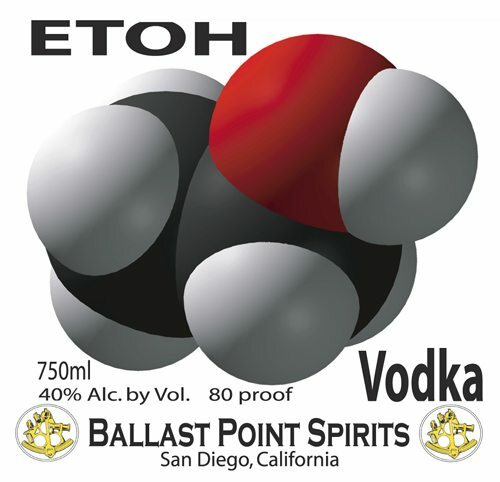 Ethanol is a contraction for ethyl alcohol and ethyl derives from “ether.” This particular EtOH is bottled by Ballast Point Spirits of San Diego, California. Here are two recent spirits products with an unusal and unusually large assembly of flavors. 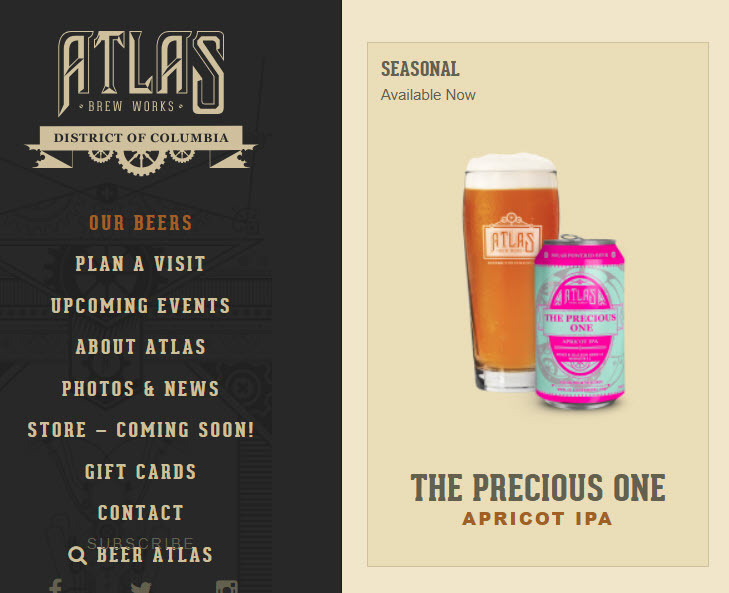 On the following list, the first 13 flavors are on the Root label, and the next 11 are on the Pink Spruce label. 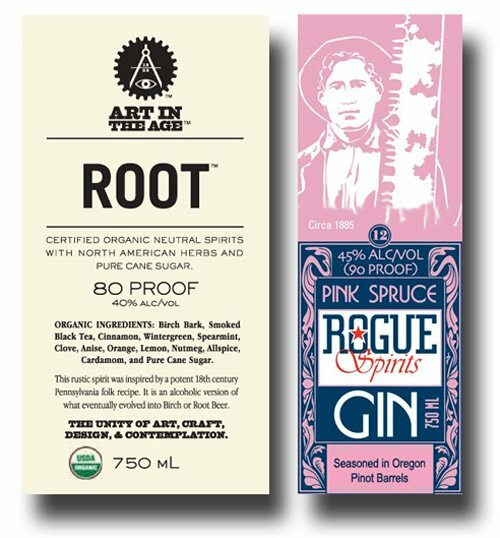 The Pink Spruce Gin label also mentions that the product is made with “free range coastal water,” it is “Seasoned in Oregon Pinot Barrels,” and distilled from grain. The Root product strangely does not mention the commodity from which distilled and probably should. It was “inspired by a potent 18th century… recipe. … It is an alcoholic version of what eventually evolved into Birch or Root Beer.” There is almost no overlap in the list of flavors from one to the other.